Late maturing cultivar with good drought tolerance and tillering ability. • Late maturing cultivar with good drought tolerance. 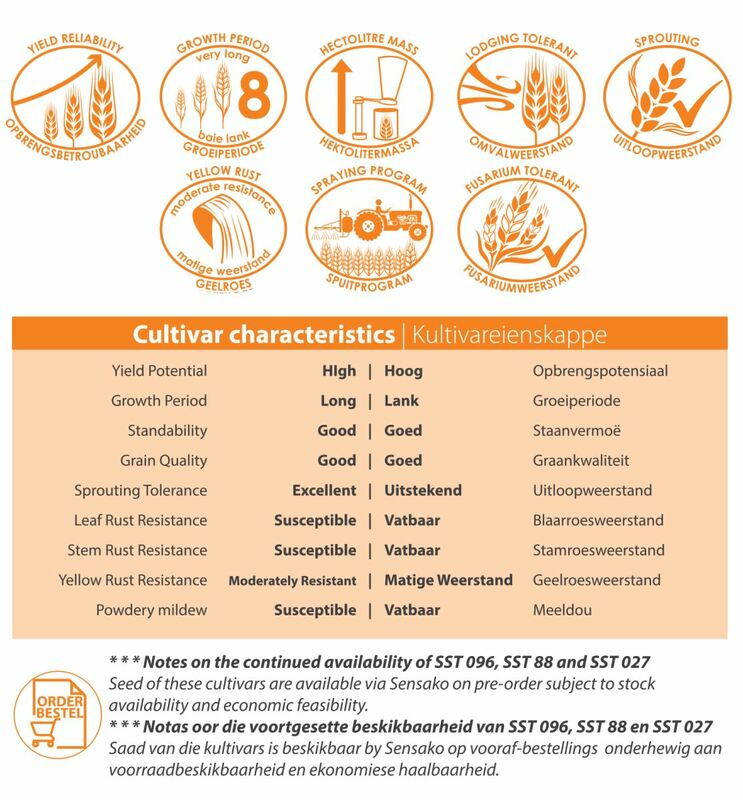 • High yield potential cultivar well adapted in areas with variable rainfall. • Excellent tillering ability and well adapted for conservation tillage systems with the use of the newest planter technology. • Moderately resistant ti stripe rust but extremely susceptible to stem and leaf rust. An effective spraying program is recommended.